The Royal Dragoneers starts off with a thrilling scene of a young hunter stalking a wounded stag. The hunter is training to be a King's Ranger. The stag had been in many battles and the hunter was prepared to win, and he did. Unexpectedly, the hunter becomes the hunted. Like all that's in the food chain, easy spoils are a desired token. Everyone was after the deer: the hunter, dragons, and trolls. I was very impressed with the way the author brings about detail and leads the reader on a path of excitement. By the end of chapter one, the reader should be left in a state of shock and confusion which will make them come back for more. The author will have the reader wondering how could something like death be at the main character's door step so early in the book. Characters like ogres, trolls, goblins, and talking dragons bring out the fiction and interesting side of this book. The protagonist, Jenka is brave and timid at the same time, which makes me believe he is an introvert that really thinks before he makes a move. Sometimes in life, one can be afraid of the reaction of another person, so they will be cautious about the things that they do. King Blanchard seems to be an antagonist who relies on bad thoughts about dragons and is afraid of the unknown forcing him make decisions based on theories and rumors. The king is blinded and he believes that humans are superior. By having these thoughts, he does not hesitate to move into other territories, which belongs to the trolls. He also acts thickheaded and driven by rage causing him to have poor relationships with the main characters. The humans, the trolls, and the dragons have been enemies for many years, but in this book there will be an alliance like no other. The war is bound to breakout and denial cannot be a factor in the current situation. Jenka talks to one of the dragons in the first chapter. Even if he tells the King or his men about his encounter with the dragon, they will not believe him or even believe that dragons can talk. This rules out the fact that Zahrellion knows about the future war. Zah has spoken with a dragon in the past, which warned her about the war between humans and the trolls. Jenka appears to have feelings for Zah, and I thought about how common it is growing up catching feelings for another person. 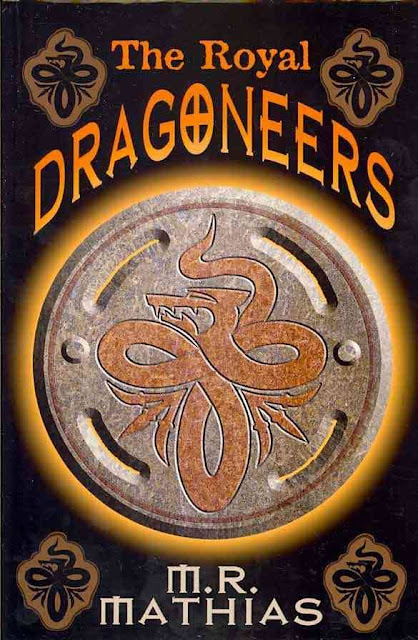 When I first read the setting about the wilderness, I thought about a mid 1990s movie Dragonheart, which had so many elements similar to those found in this book: talking dragons, wilderness, an impulsive king, and a protagonist training to be a King’s Ranger. While Jenka wanted to be a King’s Ranger, he eventually started having second thoughts about his destiny. We all have a destiny and it may not necessarily be what we think it is. In this story, Zah and Jenka are believed to be on a specific destiny based on their ability to talk to dragons. Reading about the people inhabiting the trolls’ territory made me think about population growth in today’s society, and how it has been an issue for animals not having a place to live due to more development. Where I live for example, which is central Virginia, there is plenty of housing development taking place, but animals such as bears and bobcats have been appearing in residential areas. This is because they have been forced out of their habitat. It is hard to believe these animals are more likely to be seen in a neighborhood today. If I had to rate this book on a scale, I would give it 4 out of 5 stars. In the first few chapters, the reader will get an idea of the overall story plot, and can follow along finding evidence and detail to support what the first few chapters revealed. My rating is based on insights and foreshadowing.